UPDATE: Final deadline extended. Please submit your entries before Jan. 26, 2015 at noon. The IABC Bronze Quill Awards recognize outstanding employee communications, public relations, media relations, community relations, government affairs and marketing communication efforts. The Tulsa Chapter of the International Association of Business Communicators’ Bronze Quill Awards is open to all communicators – members and non-members alike – in the corporate, nonprofit, advertising, marketing and government sectors. Entries are encouraged from IABC members and non-members. All eligible work must be implemented, published or broadcast between Aug. 1, 2013, and the day of submission. Those submitting entries must have been directly involved in producing the materials entered. Improperly submitted entries may be disqualified. Judges’ evaluations will only be available at the Bronze Quill Awards Banquet. Make a secure online payment when you submit your entry at www.awardsentry.org/tulsa. *If paying by check, payments must be received by Jan. 14 to receive the early deadline discount. Final entry deadline is Jan. 21, 2015. Choose from 4 divisions and 47 categories. Evaluation is based on IABC’s Global Seven-point Scale of Excellence for strategic planning and execution (view the scale at tulsa.iabc.com). Most entries include a work plan providing the strategic overview of the program or initiative, and a work sample showing some of the actual work completed. Scores for Communication Management entries are based equally on the work plan and the work sample. For entries in Communication Skills, the score is based on the work sample’s creativity, professional execution and alignment to a higher-level campaign or initiative. Your entry fee must be received by the final deadline of Jan. 21, 2015. If you enter early, you must upload your entry and pay the registration fee before the deadline noted to qualify for the reduced rate. Full payment must be received for all entries you submit before or on the closing date to be eligible for evaluation. Work plans for Divisions 1, 2 and 3 are limited to four pages using a font size no smaller than 10-point and margins no less than 1⁄2 inch. A template is available at tulsa.iabc.com. 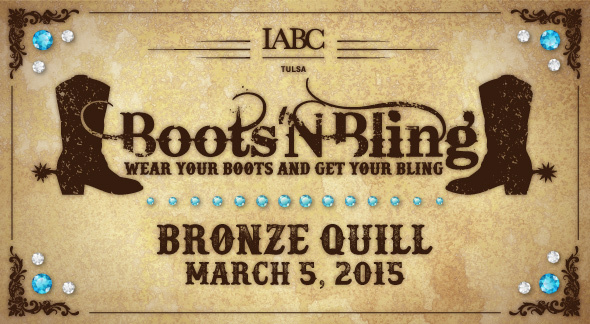 For Division 4, Communication Skills, you will need to submit a brief entry form, available at tulsa.iabc.com. Work done for IABC is not eligible for this program. If your entry depends mainly on syndicated, borrowed, reprinted or stock material, it may be disqualified. If you are a consultant and your work was done for a client, you must include client permission for your entry, or it may be disqualified. All entries must be submitted though the online judging system at www.awardsentry.org/tulsa. Please make sure you have your work plan and work sample files ready for upload. Your work plan must be a single PDF file. Only one PDF file will be accepted for your work plan. After you submit your work plan, you will be able to upload a maximum of five work sample files. Your work sample files must be in PDF, PNG, JPG, GIF, MP4, WMV, M4V, MOV, MP3 formats. Each file is limited to 2 GB (2,000 MB) in size. Include with each entry a work plan, with the required information listed below. All entries must be received by Jan. 21 at midnight. Entries received after the deadline will not be judged. Describe the context for your program or project. Clearly state the communication challenge or opportunity. Provide an analysis of your target audiences. Demonstrate high-level goals and measurable objectives stated as outputs or outcomes. Provide insight into your strategic approach. Provide an abbreviated tactical execution plan. Discuss any challenges that you faced during planning and execution. Provide measurable, meaningful results that are aligned with your stated objective and audience and business need. Ensure your work plan references your work sample and assists the evaluators to navigate through your entry and find the examples that best illustrate your work. The work sample is the supporting material that illustrates how you planned and implemented your communication program. It can include video and audio files, Word documents, PDFs, magazines, brochures and website links. Your work sample should represent the full scope of your work. However, bear in mind that evaluators have limited time to review your submission – a well-organized work sample that demonstrates the very best of your efforts will score higher than an overwhelming number of items that evaluators can’t sort through. Organize and condense your work sample to showcase a representative overview of your project. Pick examples (clips, photos, etc.) that best support your work plan and represent your strategy. Be creative in demonstrating how the elements of your work sample are aligned with the business needs and audience preferences. You do not have to complete a detailed work plan for the Communication Skills division. Instead, you will need to complete a brief entry form (available at tulsa.iabc.com) and submit it along with your work sample. The work sample should represent the full scope of your work. Please keep in mind that large files are difficult to upload and download, so please condense the file size as much as possible. The maximum file size is 2 GB. You may submit an entry (or portion of an entry) in more than one category; however, you MUST provide separate PDF files of the work plan for each category. The Bronze Quill Committee reserves the right to review each entry to determine if it has been entered in the most appropriate category. Entries will be judged based upon stated criteria and the Work Plan provided to the judges. A select panel of communications professionals from IABC chapters in other states will judge all entries. Judges are not required to award a Bronze Quill or an Award of Merit in any category. Well-defined and measurable goals and objectives. Entries that meet stated goals and objectives. Content that reflects the need and interests of the target audience. Proof that the intended message is effectively transmitted by the selected media. Format that is well-received by the target audience. Careful planning and attention to detail. We will also present a Best of Show Award to recognize the entry judged to be the most effective and creative in achieving its goals and objectives. This template will guide you in creating your work plan for the Communication Management divisions (Divisions 1, 2 and 3). The work plan is an executive summary of your communication strategy. If you’re entering the same program or elements of the program in multiple categories, be sure to tailor your work plan so it fits each category. This document is a preview for the new Communication Skills Division (Division 4) entry form.The Communication Skills division is easier to enter than ever before. Simply complete the brief entry form and then submit it along with your work sample. The entry form provides critical information to assist evaluators in evaluating your work based on the creativity, professional execution and alignment to a higher-level campaign or initiative of the work sample itself. You do not need to complete a detailed work plan for the Communication Skills division.